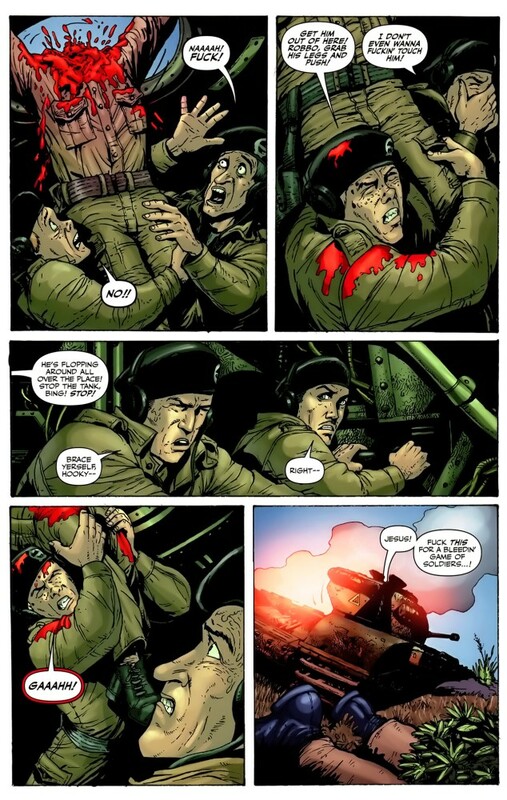 The Tankies is the bloodiest of Garth Ennis’ Battlefields trilogy, but it’s not without substance. Just as it’s about armored infantry and war, so is it about classism and comradery. 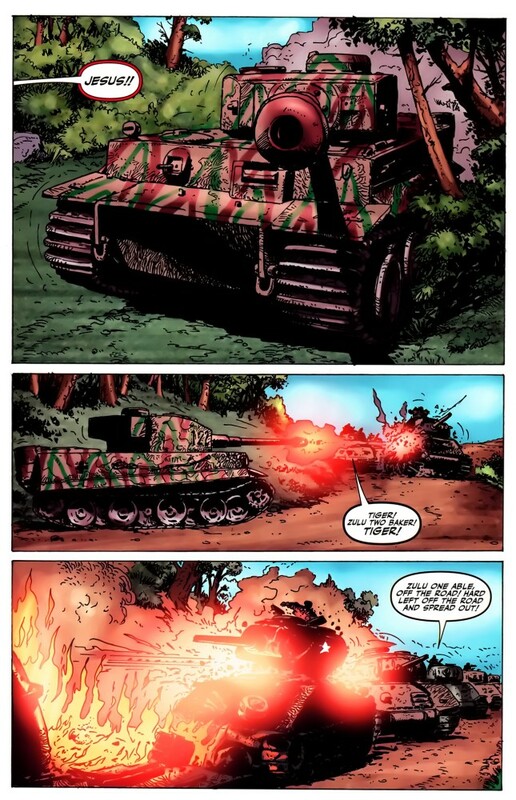 The Tankies is the story of a novice crew of British tank operators (“tankies”) in the Battle of Normandy. They’ve been left prostrate on the battlefield as their commander, Lt. Archie Wingate, has just been relieved of his head by an artillery shell. Cpl. Stiles, an ill-tempered veteran with a Geordie accent, has been assigned to replace Lt. Wingate. To a bunch of green Londoners, he’s not the ideal leader, but he’s their only hope of navigating the Normandy woodlands and making their rendezvous. Still, worse than the unaccommodating terrain and the indecipherable speech of Cpl. Stiles, is the threat of German Tiger tanks. Cpl. 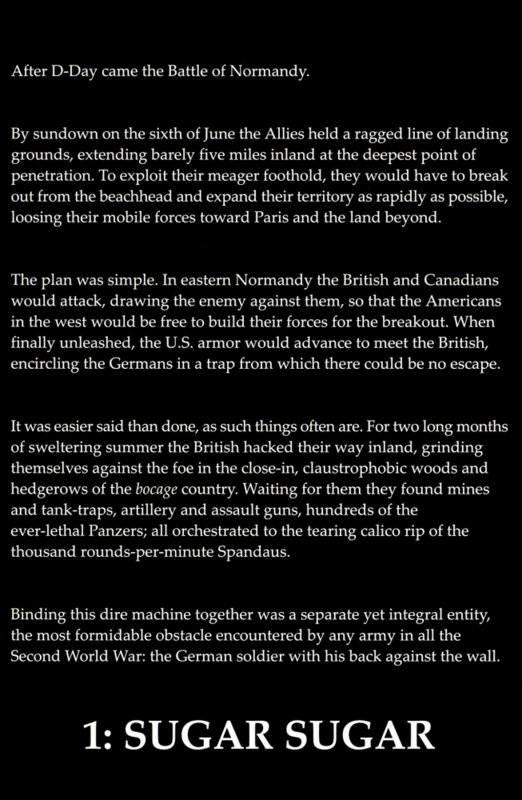 Stiles himself describes them saying, “Shite, man, the armor’s foor fookin’ inches thick, an’ the goon’ll slice through ‘owt we’ve got. 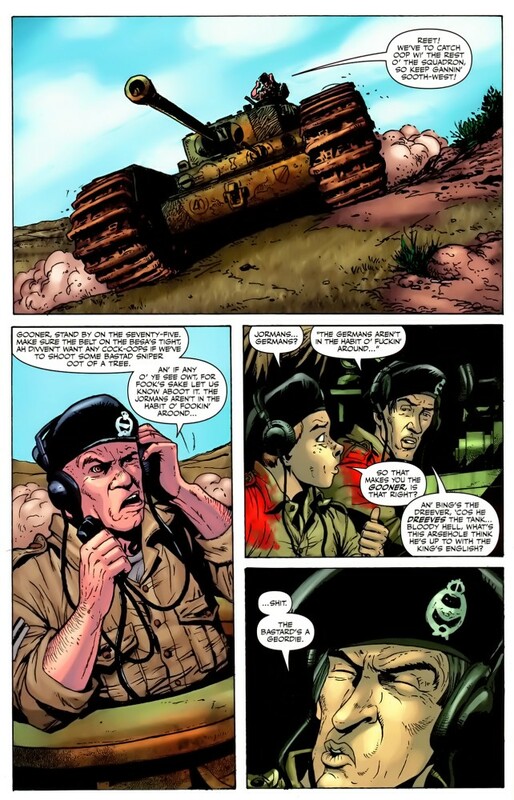 That eighty-eight, that’s been Jerry’s trump card since nineteen bloody forty.” Compared with a Tiger, their Churchill is just as slow and has decent armor, but it’s outmatched in terms of firepower. If they are to survive the day, the tankies must avoid these goliaths at all costs. But, really, how likely is that? Not bloody.